A few months ago I submitted some photos to the American Association of Zookeepers. I got my copy of the 2012 calendar and I made it! I can officially say that I have been published in both a calendar and on a CD cover. All in the same month. Holy Buckets ~ I feel incredibly cool! 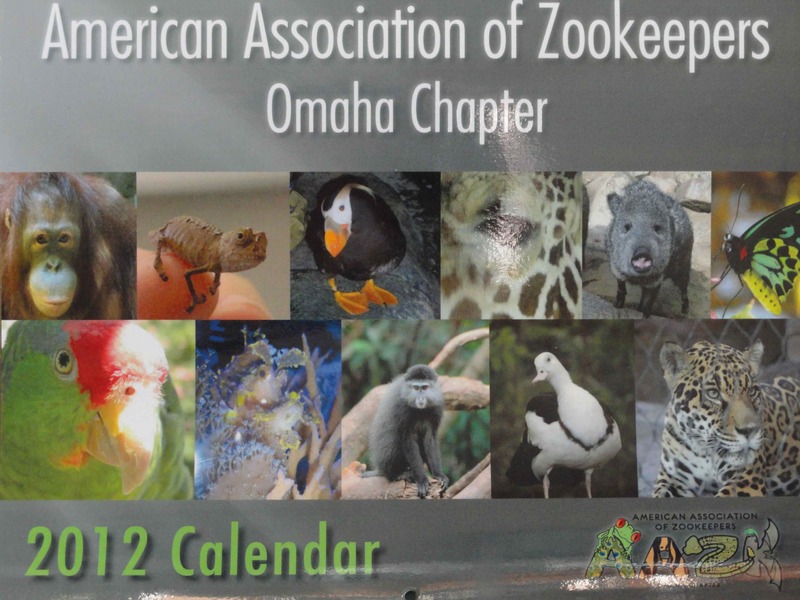 If you are in the Omaha area, please support the Henry Doorly Zoo by getting a copy of their calendar, because they do wonderful things for our planet. Oh, and they need to send my Mom to South Africa in a few weeks and I want to make sure she has plane fare home. And malaria shots. And a guide for tromping around in the wild, or at the very least a map (they have a shoestring budget and I would bet they won’t spring for GPS). On second thought, if you are the praying type ~ please put in a good word for her. This friend is pretty sure your picture made it in there because it was Ridiculously Amazing, not because of your wonderful ma. CONGRATS!